I seem to be sharing this topic with almost every new nurse who has asked me for advice recently. Confidence is always needed, no matter the situation or your specialty. I wish there was a confidence gas station we could all go to and fill up at after a horrible work day or clinical. $45 of Confidence on Pump 5, please! Confidence, by definition, is “a feeling of self-assurance arising from one’s appreciation of one’s own ability or qualities”. The thing is, as a new nurse, you have no gauge of your own abilities yet. You know a few things because you’ve studied, but you really have no idea how to intuitively carry these tasks out. You are relying on the guidance of those around you. It’s not a trait that automatically gets instilled in you once you pass the NCLEX. Confidence generally comes with experience. It’s not a trait that automatically gets instilled in you once you pass the NCLEX. However, it’s extremely important to have self-confidence even as a new nurse. 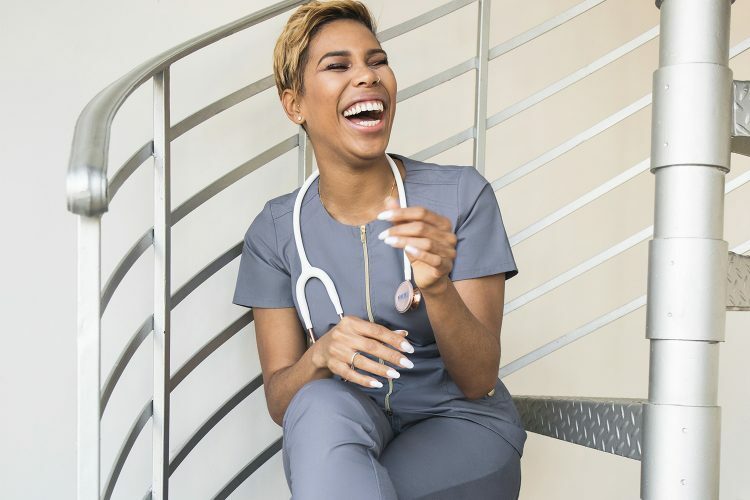 The International Journal of Nursing Studies reports that the lack of confidence new nurses experience can potentially compromise the implementation of safe and effective healthcare. So, how do we get some of this confidence we keep talking about? When you encounter a diagnosis you are unfamiliar with managing, you can read first and then ask the appropriate questions. You will know what you should be monitoring and how to safely implement care. It’s also a good idea to know how to access the policies and procedures for your hospital and unit. These collectively make you a more responsible nurse, and you will feel more confident when you can find the answers yourself. “Comparison is the thief of joy.” Please do not waste your day wondering how that Super Nurse down the hall has impressed every doctor on the unit and finished their documentation while you are still struggling through meds. That is the easiest way to give yourself a bad day. Celebrate your small wins and disengage from what others are doing. You should only compare to learn, not to beat yourself up. Stay above the swinging pendulum. You may have some good days, and you will for sure have some bad ones. Don’t allow the great days to make you overly excited, and certainly do not allow the bad days to make you want to give up. Your patients are waiting on you. Your team is relying on your recommendations. So push those shoulders back, hold that head up high, and continue to make your profession proud! 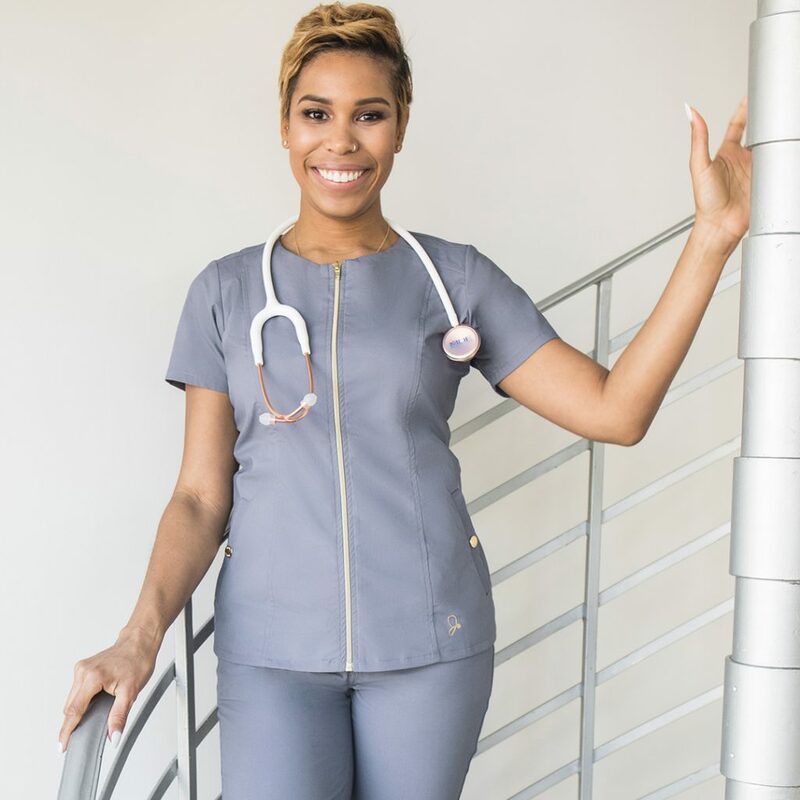 Jannel Gooden is a Pediatric Critical Care Nurse currently based in Los Angeles, CA. She is also a Nurse Coach offering words of advice, commiseration and motivation to future nurses and nurses just starting their careers. Follow Jannel on Instagram at @noviceisthenewnurse. I love your Ig videos… you’re so dope!! Please keep up the great work! We need you!